I don’t know about you but not long after the start of the new year, when the weather starts to warm up, I start thinking about summer. More importantly, I start thinking about what to do with my kids during the summer months so I won’t have to listen to, “Dad, we are bored!”. Is anyone else in the same boat? If you have kids, then you should have said yes. I have a tendacy to run out of summer activities for kids quickly. 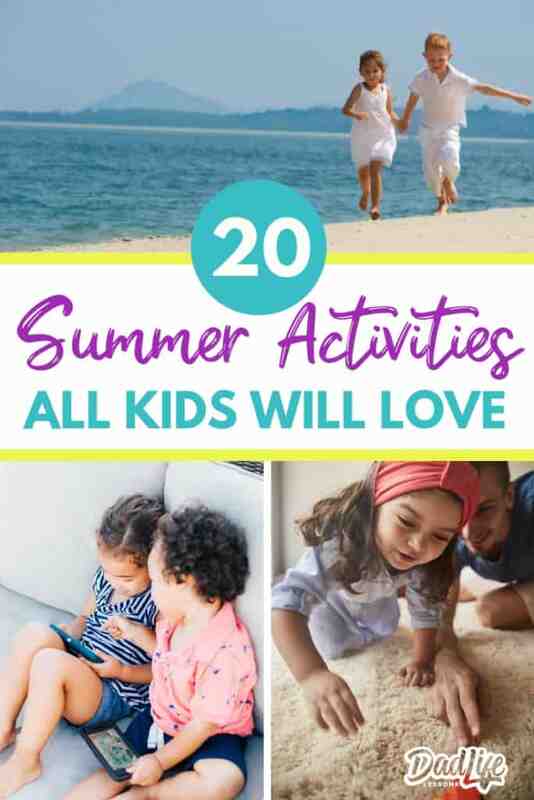 So I decided to keep the stress at a minimum and came up with 20 Summer Activities for Kids! This list will cover a ton of fun things no matter where you live and it won’t even break the bank. 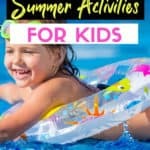 20 Summer Activities for Kids! Visit local parks. As the weather starts to warm up, the first thing my kids want to do it get outside. One of our favorite things to do is make a list of the parks in our area and try to go to all of them at least once during the summer. Go on a Hike. Another great thing to do outside is to go on a hike. We love to pack some snacks, plenty of water, put on our walking shoes, and hit the trails. Sometimes we walk a few miles and sometimes we only get as far as ½ a mile. The point is that we spend time together outside, in nature, without electronics. Get active with Sports. Playing sports is a great way to keep kids from being bored. I remember growing up with my dad and I hanging out in the backyard tossing the baseball back and forth. So grab a glove and baseball (tennis ball for younger kids), a football, soccer ball, badminton rackets, tennis rackets, or go play a round of golf. All of these are great options to keep boredom at bay. Life skill activities. While keeping the kids entertained you can also work in a teaching moment too. Fishing is one of those teachable moments. 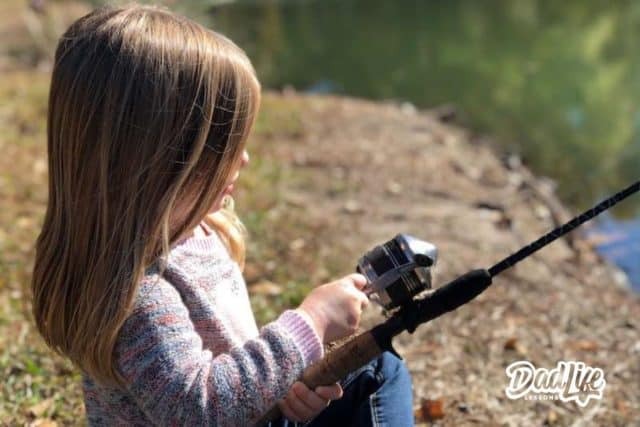 You can teach them about why we fish and being able to either catch and eat or catch and release. The bonus is that it’s fun to dig around in the dirt for some good fishing worms. Find the inner Artist. 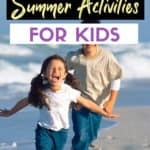 Continuing in our summer activities for kids, maybe you aren’t the outdoorsy sports type. There are some really fun things to do as well like painting. You don’t have to be the best artist to paint with your kids. They love anything you do. So grab some paper, a canvas, watercolors, or acrylic paints and start creating some fun memories. Camp overnight. Do you like camping? We didn’t do a lot growing up but I am making a point to change that with my family. Yes, it’s a bit of work, but totally worth it at the end of the weekend or night. You can camp in your own backyard or head over to a local state park for some fun camping. Don’t forget to grab the S’mores making treats too. If your not the woodsy type you can always camp in your backyard. Play Date with other families. My wife is always doing play dates and picnics with her girlfriends. I think guys meet up with grills could be way better. Call up a couple of buddies (with kids), grab some food to grill up and let the meet up begin. It’s easy when the company and kids are all friends. Game time. 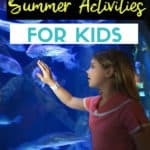 Ok so maybe sometimes the weather isn’t cooperating and now you are stuck indoors but there are still great summer activities for kids indoors. That doesn’t mean that electronics automatically have to come out. Make some popcorn, grab some drinks, and make it a game day! This can be anywhere from board games, card games, or make up your own game. Get creative and let your imagination run wild. Fun at the beach. Maybe you live close enough to head over to the beach or lake for some fun in the sun? Those are easy and fun things to do out in the sunshine. Make sure you grab your sunscreen, life jackets, inflatable rafts, beach balls, snacks, water, and anything else you want. Sand toys or some plane buckets and shovels are great to build big sand castles too! Fly a kite. Considering you have at least one windy day, kite flying is fun and easy. You can simply grab a kite or learn to make one at home. There’s some great easy to follow videos to help you make your own. There’s nothing more satisfying than watching your kid’s faces light up the first time the kite takes off and begins to fly. Check out and see if there’s a kite festival near you. We have one in the fall that we love going to. Go on a treasure hunt. Maybe you’re into some adventure and want to plan something fun. A treasure hunt is an exciting game to play. You can make a map, write down clues, and even dress up. Build excitement as your kids use their minds and start to figure out the clues! Catch a movie. During the summer times around here, our movie theaters offer up $1.00 movies. Yes, I know that this includes some screen time, but it is also family time! Movie trips these days, depending on where you live and what all you get, can easily run $60 for a family of 4. So, $1.00 movies sound good in my opinion. Do a quick search with your local movie theater today. Build together. Maybe you are a bit more creative and handy. Building something with your kids is another one of those teachable moments. You can teach them about safety around tools, maybe share some battle scars from when you hit your finger with a hammer. Try to build something simple like a birdhouse or a toolbox. Check out your local Lowes or home depot sometimes they have events. Even if it’s not perfect, everyone will have a great time. Take a visit to your library. Take a trip to your local library as one of your summer activities for kids. Our libraries offer story times, daddy/daughter dances, lego events, and they even had a Harry Potter event. The children’s section sometimes has toys and imagination games to play as well as reading and checking out books and movies. One thing our library offers on rotation is a FREE 1-week pass to the local Children’s Museum. We have to wait about every 4-6 weeks to get it again, but it’s a fun one to keep on rotation. Visit an Aquarium. Do you love animals and underwater life? Head over to an aquarium for hours of fun and education. 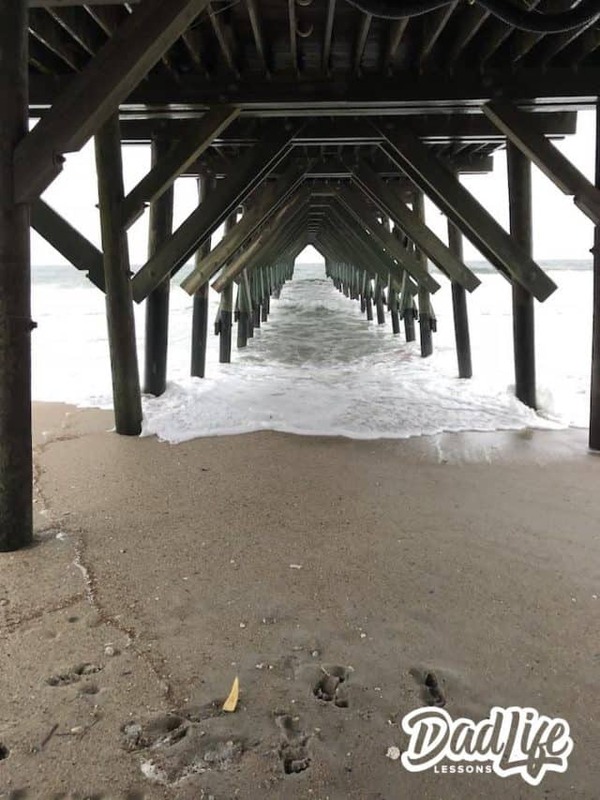 There’s a wide variety of fish, horseshoe crabs, stingrays, jellyfish, and so much more. There are lots to learn about and look at, including a gift shop to make those memories last. Monkey around at the Zoo. Is the aquarium not your thing? That’s ok, zoos are just as fun! 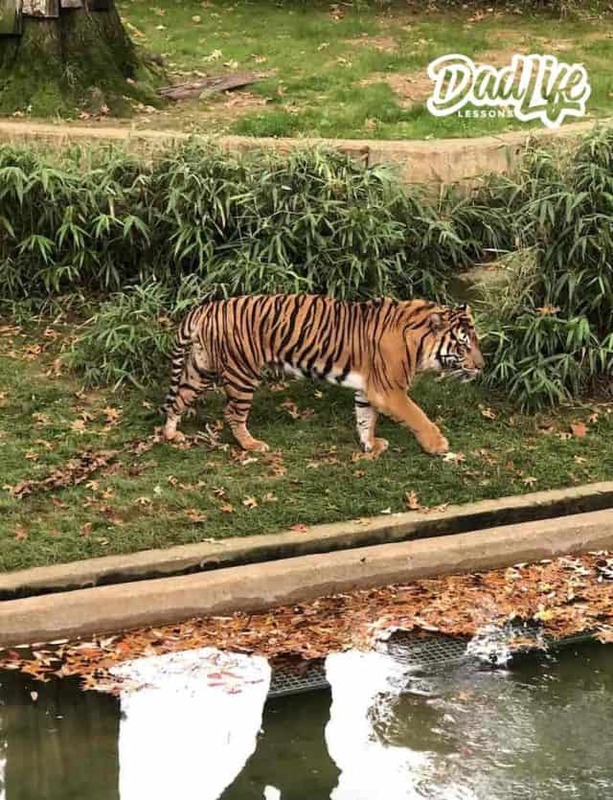 Do a quick search and find a zoo near you. It was always fun going when I was growing up to see the lions, elephants and bears up close and personal (through the thick glass). Snakes were never my favorite but my kids like them. Dads, sometimes we have to face our fears and do things for our kids that we might not like otherwise like holding a spider or snake. Grab the floaties and go for a swim. 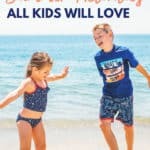 Getting down to the last three activities on our list of 20 Summer Activities for Kids, next up is spending the day at the pool. I know what you are thinking, that’s not really something to play. Oh but there are so many fun things to do at the pool. You can play games like Sharks and Minnows, you can throw diving toys, and you can have races too. We spend a lot of our free time hanging out at our city pools in the summertime. Dig for Gold or Jewels. Have you ever gone to look for gold? Mining is one of those exciting things to do, especially for kids. On family vacations, my parents used to take us and man we thought we were rich if we found some fools gold! Wasn’t until later in life that I realized there wasn’t monetary worth to it. Those were some great times though. You might have opportunities to dig for gold or jewels near you. Check it out, you might have one close by. Jump for joy. Trampoline parks are all the rage these days. Have you ever been? My kids could jump for hours and still have energy when we leave. I watch them jump and I’m ready for a snooze on the couch. Prices and hours vary at each one so call your local trampoline park for more information. Entrepreneurial fun. Last but not least on our amazing list of summer activities for kids is a lemonade stand or snack stand. This one brings us all back to our childhood. It’s a hot summer day, you are bored, and you’ve heard your parents say for the one-millionth time to go find something to do. So you are thirsty for some cash and you make your first lemonade stand. These aren’t as popular anymore, but I can still ride through the neighborhoods during the summer and find a stand or two. I almost always buy a cup! Don’t limit yourself to lemonade think cookies, snacks and more as well. Maybe you have done most of the list and you want to allow your kid’s screen time, that is perfectly fine but check out our tips on how to protect your kids online. 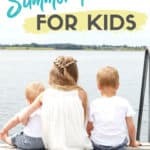 I hope the list of 20 Summer Activities for Kids helps you this summer with opportunities for you and your kids to enjoy. Maybe you thought of some that we left out. 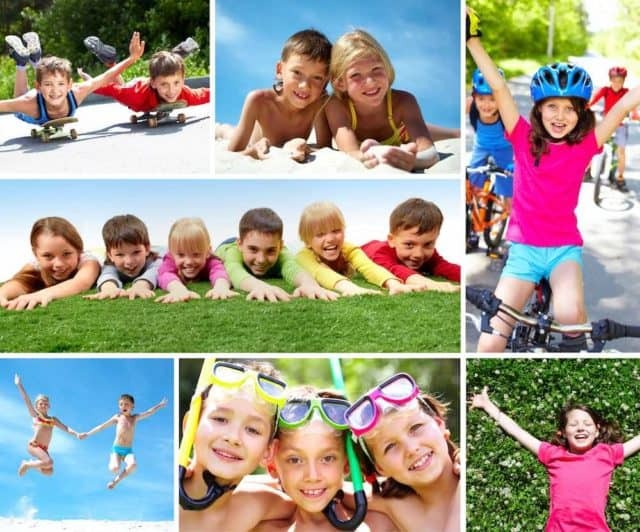 The point to the activities is just being together and keeping kids from being bored. Life is better when everyone is happy. Let us know what fun things you do during the summer!